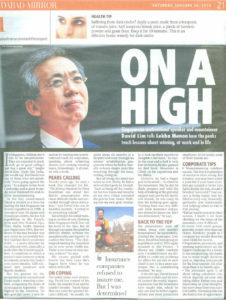 The Law Gazette’s May 2007 feature includes David Lim’s interview. 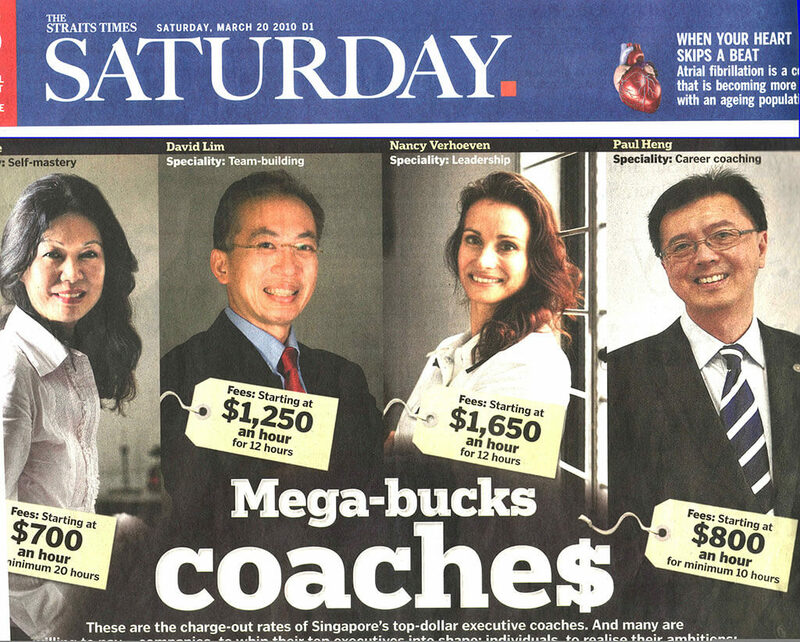 Is coaching a fad or here to stay? 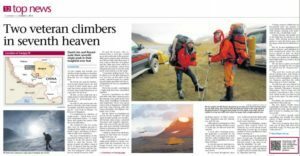 And why most teambuilding isn’t effective in helping the bottomline – and what works. 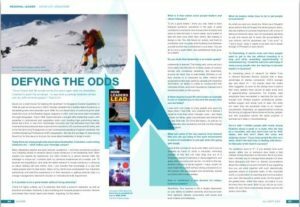 FHM magazine’s exclusive interview with David Lim on motivation and life’s lessons. January 2008. 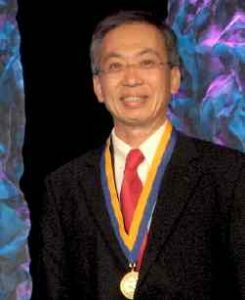 David Lim at the conferring ceremony for new Certified Speaking Professionals (CSPs) at the National Speakers Association Annual Convention, Jul 19,2009. He joins fewer that 10% of the 5000 professional speakers worldwide with the prestigious designation representing excellence, eloquence, and expertise.David is the first Singaporean to receive the designation. 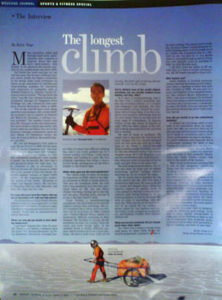 Download the pdf to read more. 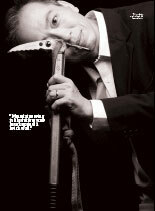 The cover of May 2007′s THE EXECUTIVE magazine covered Davids thought’s on business success and leadership. Download this feature now. 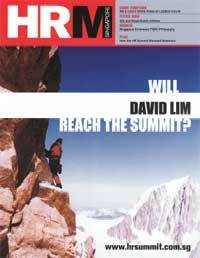 Read David Lim’s interview with HRM magazine on teamwork strategies. 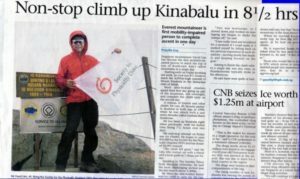 Download the PDF now. 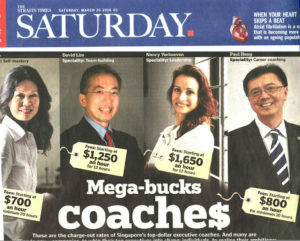 The Singapore Marketer interviews David Lim on marketing for SMEs, January 2009. 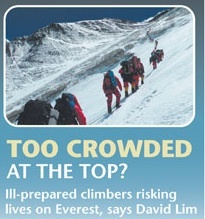 David Lim’s major opinion piece in The SUnday Times about overcorwding on Everest, cognitive biases and poor leadership decision-making.